By accessing or using the website, you are acknowledging that you have read, understood, and agreed, to be bound by Terms without limitation or qualification. The terms “AIPS Sport Media Awards 2018”, “us” or “we” refer to the owner of the website. The term “you” refers to the user or viewer of our website. Use the website at your own risk. To the extent permitted by law this website is provided to you "as is", without warranty of any kind either express or implied. Neither AIPS Sport Media Awards 2019 nor its employees, agents, third-party information providers, licensors or the like warrant that the website or its operation will be accurate, reliable, uninterrupted or error-free. No agent or representative has the authority to create any warranty regarding the website on behalf of AIPS Sport Media Awards 2019. 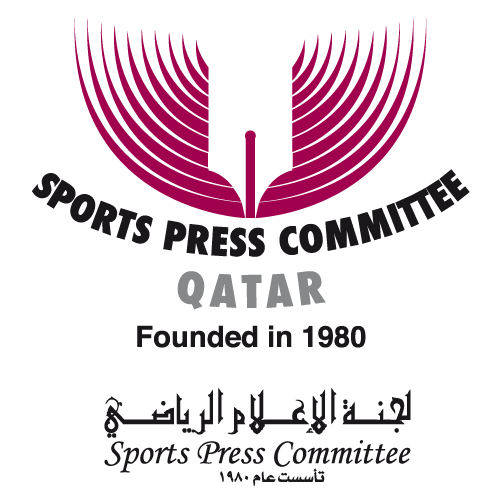 AIPS Sport Media Awards 2019 reserves the right to change or discontinue at any time any aspect or feature of the website. All content that is on the website or that is available through the website, including all designs, text, graphics, pictures, video, information, applications, software, music, sound, and other files and their selection and arrangement (collectively, "Website Content"), is the exclusive proprietary property of AIPS Sport Media Awards 2019, its licensors or their related parties, with all rights reserved. No Website Content may be modified, copied, distributed, framed, reproduced, republished, downloaded, displayed, posted, transmitted, or sold in any form or by any means, in whole or in part, without our prior written consent, which may be withheld in our sole discretion. For so long as you act in accordance with the Terms: (i) you are granted a limited license to access and use the website solely for your personal non-commercial use; and (ii) you are granted a limited license to access, use, download, or print a copy of any portion of the Website Content to which you have properly gained access solely for your personal non-commercial use. You must not upload or republish any Website Content on any Internet, Intranet, or Extranet site and you must not incorporate any related information into any other database or compilation; and, any other use of the Website Content is strictly prohibited. Such limited license is subject to these Terms. We may take any legal action in connection with any violation of the Terms. Any use of the website or of the Website Content, other than as may be specifically authorized herein, without our prior written consent (which may be withheld in our sole discretion), is strictly prohibited and will automatically and immediately terminate all licenses granted by AIPS Sport Media Awards 2019. Such unauthorized use might also violate applicable laws, including copyright or trademark laws and communications statutes and regulations. Unless explicitly stated herein, nothing in these Terms may be construed as conferring any license to any intellectual property right. At any time, and without your consent, we may unilaterally revoke any license that we grant, in our sole discretion without any notice or cause. All Website Content and all product names, trademarks, service marks, and logos provided by AIPS Sport Media Awards 2019, its licensors and their related parties on the website are wholly owned or validly licensed by AIPS Sport Media Awards 2019, its licensors and their related parties. All product names, trademarks, service marks, and logos owned by third parties remain the property of such third parties. The website may contain, or you may be sent through the Website, links to other websites and ads ("Third Party Websites"), as well as articles, photographs, text, graphics, pictures, designs, music, sound, video, information, applications, software, and other content or items belonging to or originating from third parties ("Third Party Content"). Such Third Party Websites and Third Party Content are not investigated, monitored, or checked for accuracy, appropriateness, or completeness by us. AIPS Sport Media Awards 2018 is not responsible for any Third Party Websites accessed through the website or for any Third Party Content posted on, available through, or installed from the website, including any content, opinions, privacy practices, or other policies contained in any Third Party Websites or Third Party Content. The inclusion of, linking to, or installation of any Third Party Websites or any Third Party Content does not imply any approval or endorsement thereof by us. If you decide to leave the website and access the Third Party Websites or to use or install any Third Party Content, then you do so at your sole risk and cost. AIPS Sport Media Awards 2019 is not liable for your conduct or the conduct of any third party. You are prohibited from using the website to post or transmit any material which is or may be infringing, threatening, false, misleading, inflammatory, libelous, invasive of privacy, obscene, pornographic, abusive, discriminating, illegal or any material that could constitute or encourage conduct that would be considered a criminal offence, violate the rights of any party or which may otherwise give rise to civil liability or violate any law. You are also prohibited from using the website to advertise or perform any commercial solicitation. These Terms are governed by, and must be construed and enforced in accordance with, the laws of Switzerland.